The University of Oregon's first Clean Room Laboratory is now in operation. 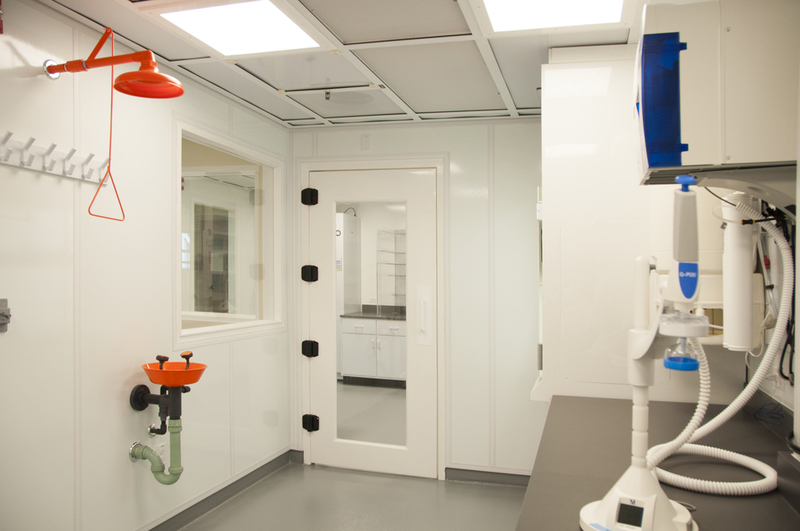 The modest 800 sf laboratory suite is one of only a handful of geochemistry isotope labs in the nation designed specifically to support research involving trace elements. Exposure of metal within the laboratory environment has the potential to adversely affect the isotope experiments. As such the spaces were designed to be metal-free or to fully encapsulate metal components that could not be otherwise eliminated. Professor James Watkins' research involves crystal and bubble growth processes in magmas and aqueous solutions. The project team worked closely with Professor James Watkins to assess the specific procedural requirements of the space. 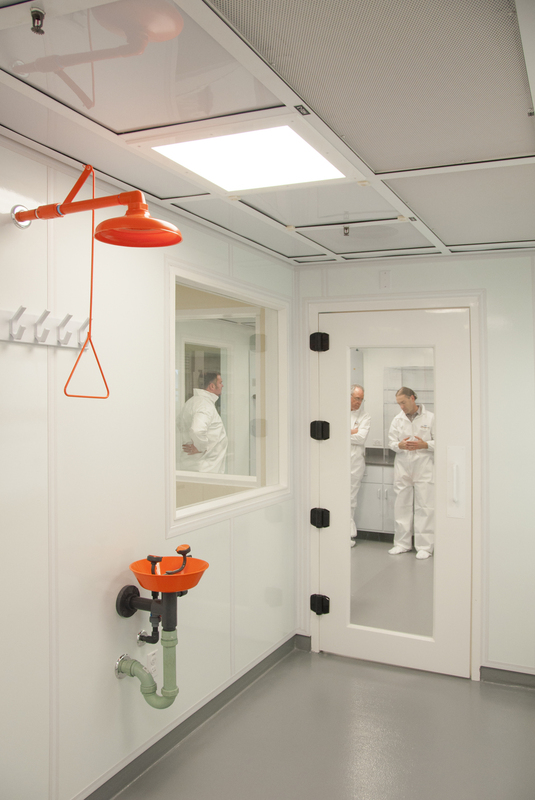 A fully integrated design allowed standard cleanroom components to be custom suited to a metal-free environment.